the sea’s breath and the cat’s snow: literacy made human! For a recent project, I was asked to join forces with a teacher and librarian at The Charter School in Southwark, to help energise the students engagement with literacy. They had set in motion a great scheme called ‘own a poem’ . The idea being that everyone in the school, students and staff, could find a poem they liked or related to, learn it by heart, and recite it at rolling performances over lunch times in the library, or in class, or assemblies. I’ve heard a few and they have been wonderful! The listening and the performing equally impressive. On National Poetry Day I was one of three poets (the others were Ebele and Chimene Suleyman) to perform there to school assemblies. 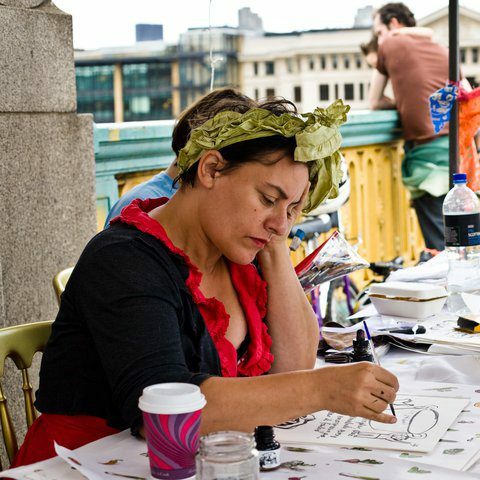 As part of this I whisked from my pocket my screen printed hankie poem Disaster, and read it, proof that poems can be portable and handy. 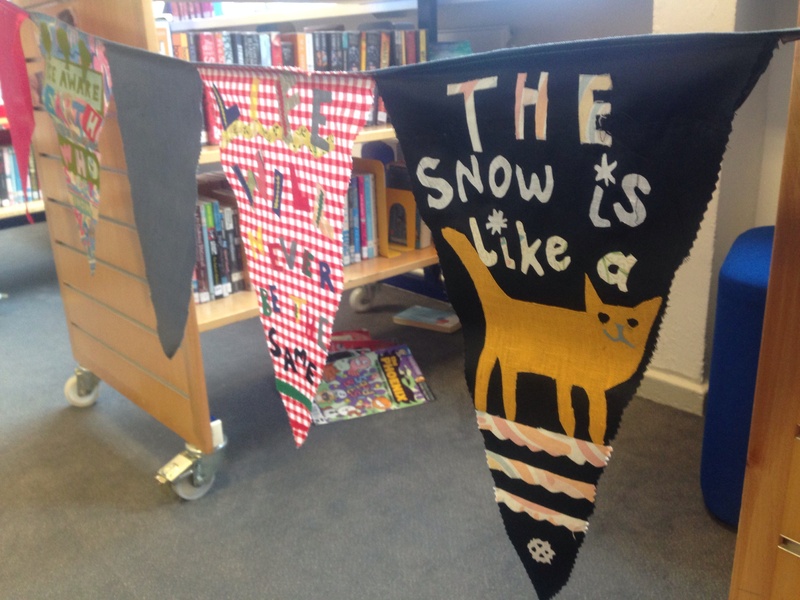 This set staff thinking about texts on textiles, and I was invited back to make ‘literary bunting’ that could wrap around a pop up trolley to rove around school bringing the wonder of books to those less keen to visit the library! 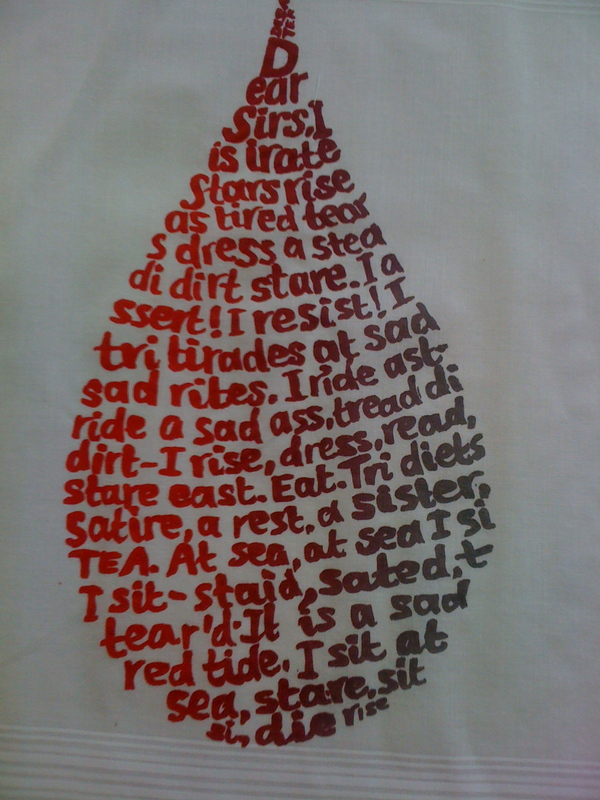 my screen printed cotton handkerchief featuring a poem that only uses letters from the word Disaster. 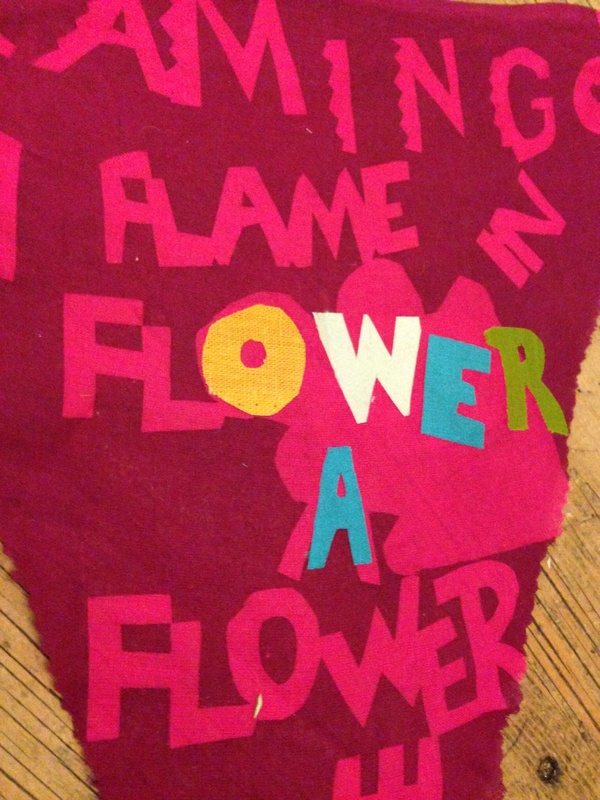 I worked with year 7s in their DT/textiles lessons. 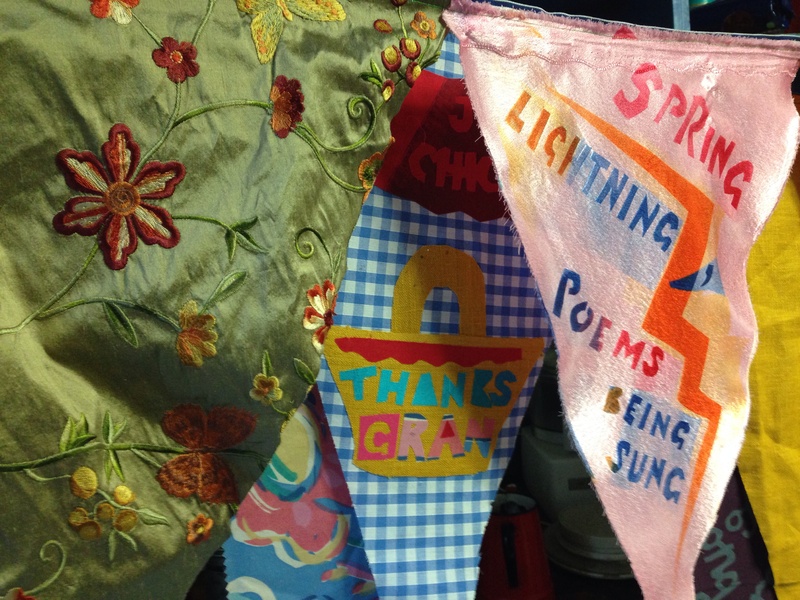 I was thrilled with how at home they felt with rhythm, colour and texture in both words and cloth. Everyone settled on a juicy quote and we worked out ways to put these on our triangles of rag: forging a whole new image text epic from scraps!